Throughout its history Loyola College has developed a wonderful tradition of acknowledging the excellence, endeavour, commitment and leadership of our students through an extensive program of Awards and Colours. Student achievement is acknowledged throughout the year at various assemblies and events including the Annual Awards Evening, which is the premier event for the presentation of many of these Awards and Colours. All aspects of College life are recognised through the presentation of Awards and Colours including excellence and endeavour in Christian Service, Academic Studies, Drama, House, Music, Public Speaking and Debating, and Sport. 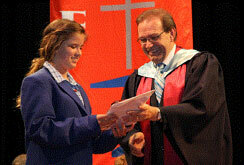 A number of Scholarships and Prizes are also formally presented at the Annual Awards Evening. 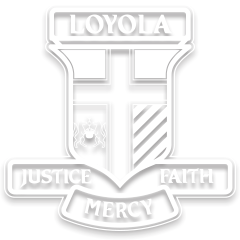 Loyola College offers 15 scholarships to Years 7 to 11 students to recognise and celebrate achievement. Please click here to view the Awards & Colours Program. To find out more about the Magis award, please click here. Students are able to apply for colours via the forms on the LMS published in the co-curriculum section. Twice yearly, students may be eligible for Gold and Silver Merits, based on their Semester and End of Year results.